Today, two rare species of forget-me-nots have been added to the Flora of New Zealand. These new species were discovered during an expedition I led to Kahurangi National Park, one of the hotspot for forget-me-nots diversity in New Zealand. 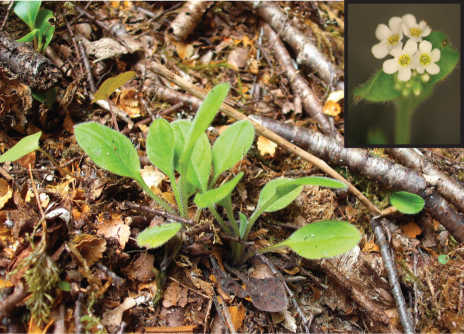 These new species, Myosotis chaffeyorum (Chaffey’s Forget-me-not) and Myosotis mooreana (Moore’s forget-me-not) are described and illustrated in an article published today in the open access journal PhytoKeys. These new forget-me-nots are extremely uncommon. Moore’s forget-me-not is currently known from a single spot where only six plants were found. 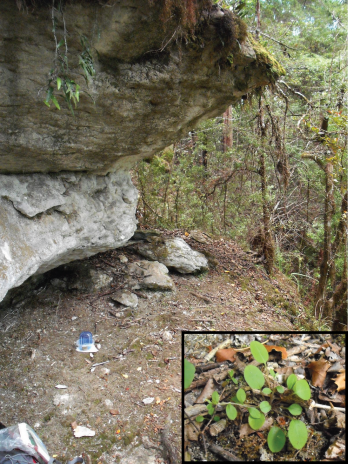 Chaffey’s forget-me-not, on the other hand, is habitat-specific and it is only found at the entrance of small caves at the base of limestone bluffs. Because of the low number of plants and populations currently known for these species they have been rated as “Nationally Critical”. This is not unusual for New Zealand forget-me-nots and many of them are currently threatened.